Prime Minister Narendra Modi congratulated, on Sunday, Indian shooters, Apurvi Chandela and Ravi Kumar, for winning the country its first medal in the Asian Games. 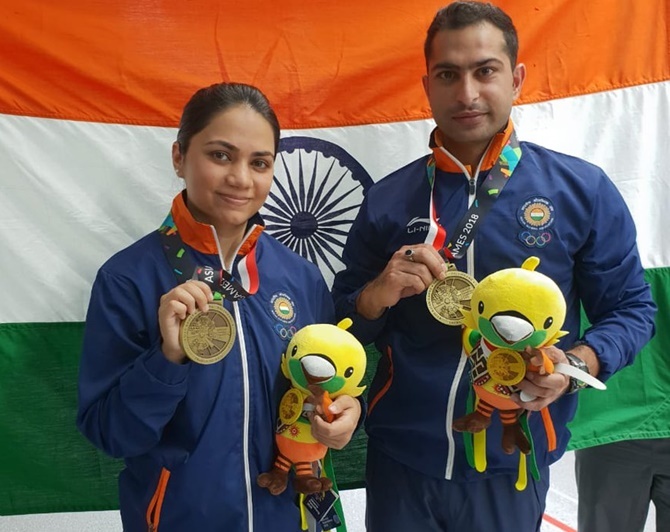 India opened its account in the 18th Asian Games with a bronze medal after Chandela and Kumar secured third position in the rifle mixed team shooting event in Jakarta, on Sunday. "Our talented shooters give us our first medals at the @asiangames2018. Well done @apurvichandela and Ravi Kumar for bagging the Bronze medal in the 10m Air rifle mixed team event," Modi said in a tweet.